Divisive identity politics are fading in favor of a shared American identity. The startling 2016 presidential election weakened the notion of tribal identity rather than a shared American identity. And it may have begun a return to the old idea of unhyphenated Americans. Many working-class voters left the Democratic party and voted for a billionaire reality-TV star in 2016 because he promised jobs and economic growth first, a new sense of united Americanism second, and an end to politically correct ethnic tribalism third. In the 19th century, huge influxes of Irish and German immigrants warred for influence and power against the existing American coastal establishment that traced its ancestry to England. Despite their ethnic chauvinism, these immigrant activist groups eventually became indistinguishable from their hosts. Then and now, the forces of assimilation, integration, and intermarriage make it hard to retain an ethnic cachet beyond two generations — at least without constant inflows of new and often poor fellow immigrants. The strained effort to champion the victimized tribe can turn comical. In the 1960s, my family still tried to buy Swedish-made Volvo automobiles and Electrolux vacuum cleaners. But it proved hopeless to cling to a fading Swedish heritage. For all the trendy talk of the salad bowl and the careerist rewards of hyping a multicultural ancestry, America still remains a melting pot of diverse races, ethnicities, and agendas. The alternative of adjudicating which particular group is more victimized and in greater need of government reparations is a hopeless task in a multiracial society — one that inevitably results in internecine strife among identity-politics groups. Recent scholarly studies, here and abroad, have found that the aggressive effort to win government preferences for particular ethnic and religious minorities descends into “competitive victimhood.” In other words, such groups battle each other even more than they battle the majority. After all, who can calibrate necessary government set-asides and reparations for a century and a half of slavery, for ill treatment of Native Americans, and for descendants of victims of the Asian immigration exclusionary laws, of segregation, of the unconstitutional repression of German citizens during World War I and of Japanese-American internment during World War II? In another paradox, immigrants came to and stayed in America because they saw it as preferable to their abandoned homelands. Romanticizing a forsaken culture that one has already decided offered far less opportunity and security than America is incoherent. In the aftermath of the election, for all the shrill charges that Trump is a racist, bigot, nativist, and xenophobe, the identity-politics industry is silently making some subtle concessions. For example, the National Council of La Raza announced that it will wisely drop “La Raza” and change its name to the less politically correct UnidosUS. The old La Raza dream of a permanent victimized class of millions of Spanish-speaking citizens — championed by ethnic elites on the basis of shared race — will neither win the Democrats the Electoral College nor prove sustainable as immigration policy returns to being measured, legal, and diverse. Despite denials, La Raza activists could never escape the reality that “raza,” as its Latin roots testify, is an exclusionary racial term (as opposed to “gente”). “Raza,” a buzzword of the 1960s, actually had come into popular political usage some 30 years earlier in Francisco Franco’s fascist Spain (Franco wrote a novel, Raza) and as the chauvinistic idea of “razza” in Benito Mussolini’s dictatorship in Italy. These were past coded smears used by Barack Obama and Hillary Clinton to define supposedly illiberal conservative working-class voters, who were written off as too ignorant to know what was good for them and certainly were no longer needed in the Democratic party. But no longer: “Them” is out, and “us” is back in. What Would It Take for Progressives to Reject Black Lives Matter? 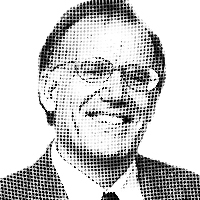 — Victor Davis Hanson is a classicist and historian at the Hoover Institution, Stanford University, and the author of The Second World Wars: How the First Global Conflict Was Fought and Won, to appear in October from Basic Books. You can reach him by e-mailing authorvdh@gmail.com. © 2017 Tribune Content Agency, LLC.